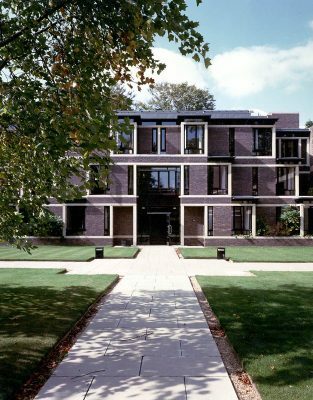 Due to an increased intake of students causing them to outgrow their existing 1960s Sir Denys Lasdun designed campus, Fitzwilliam College appointed MJP to devise a masterplan for future expansion. The new strategy was to return the open spiral of the Lasdun plan to a more traditional and geometric college courtyard linking college functions such as library, chapel and auditorium. The new courtyard also forms the boundary between the Master’s garden at the centre of the site and the collegiate lawns of the peripheral courts. The New Court Residences are the first phase of this development, providing accommodation for 100 students and resident Fellows. The formal façade is strongly influenced by Sir John Soane’s Museum at Lincoln’s Inn Fields and the horizontal bands echo the layering of the existing Lasdun Buildings. 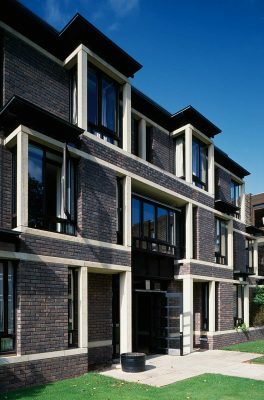 The stepped planes of the façade create a separate external social identity for the various student rooms, entrances and sets, as well as providing the occupants with framed oblique and direct views of the gardens. The rooms are arranged in groups of eight with shared bathrooms and sets. 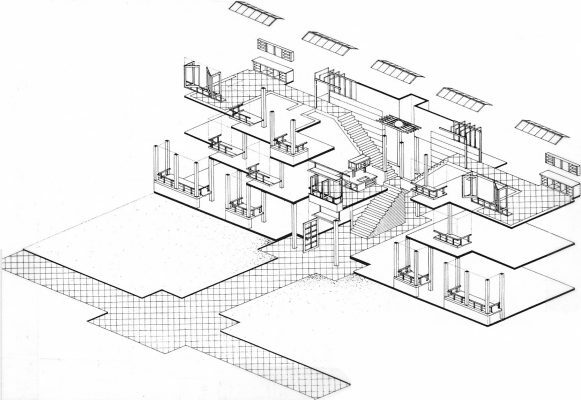 The plan is formed around the main staircases, which have been contrived to give a different appearance to each floor, a sense of identity and destination and a variety of room shapes and dispositions. The rooms also demonstrate the Soanian influence in their use daylight brought in at high level through the stepped bay windows.